Depending on your level of expertise, website hosting, which is the task of making websites and web pages available to many users, can be either very simple of daunting. n this article we are going to explore the different types of hosting. 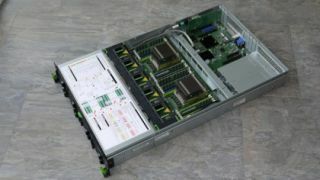 All domains will share the same server resources, such as RAM (Random Access Memory - a type of computer memory) and CPU (Central Processing Unit – the “brains” of a computer). Costs of this type of hosting will be comparatively low. If you’re a small business, community group or stay-at-home mum wanting to run your own blog, in most cases beginners will find shared the simplest method of hosting their website. This type of service often comes with the tools you need like website builders Wordpress hosting, email clients etc. Dedicated servers - which some vendors call Bare Metal Servers - cost more than all of the other options and are really only worth it for those with high traffic that need high control levels and a better performing server. A high level of technical expertise is required for the installation and ongoing management of the server. Most hosting packages you are likely to find online will be managed. Hosting companies provide technical services such as hardware and software setup and configuration, maintenance, hardware replacement, technical support, patching, updating and monitoring. Unlike standard dedicated hosting, the hosting provider looks after the day-to-day management of the hardware, operating systems and standardised applications. A popular sub-category is WordPress managed hosting. For many businesses, the beauty of Wordpress is in its simplicity. Its benefits are clear, it's easy to setup and it's straightforward to manage. Choosing a hosting provider for a Wordpress site can be more of a task, however, especially for those without expert knowledge or experience of the market. Many web hosting companies now specialise solely in offering managed services for WordPress. Instead of keeping servers in-house or at a private data centre, you may choose to ”‘co-locate” your equipment by renting space in a colocation centre. The centre will provide the power, bandwidth, IP address and cooling systems that your server requires. Space is rented out in “racks’ and ‘cabinets”. Colocation gives access to higher levels of bandwidth than a normal office server room at a much lower cost. You’re left to your own devices (literally) and will be expected to take care of everything including the hardware, software and services.